It's that time of year when we say "good-bye beach days" and "hello chilly mornings and pumpkin everything." With the welcome of fall, also comes the fun of seasonal wardrobe swapping, which means pulling out your favorite cozy comforts: SWEATERS! Along with these new additions to your drawers (or old friends returned from seasons past), comes the question, "How do I care for these without damaging?" Well, we're here to help with some worry-free TLC. Tassels abounded the runways at NY Fashion Week, and I'm always happy to see a trend that can be easily integrated into your work wardrobe and suit (pun intended) various style preferences. If you give a thumbs-up to tassels, here are a few ideas on ways to easily incorporate the trend. If your style is . . .
Preppy/Classic: Try a tassel loafer or a structured bag with a tassel detail. Like what you see? Shop these pieces and other recommendations here. Like what you see? Shop these and other great corporate kicks here. Remember J. Lo's plunging Versace Grammy dress from 2000? That dress alone helped popularize the use of "fashion tape" to help keep your wardrobe in place. However, not all tapes are created equal, and I'm here to tell you not to be fooled by fancy fashion tape packaging. If you really want to avoid a wardrobe malfunction, use the adhesive men have trusted for years to keep on their toupées—topstick! I always keep a few strips on hand, and more than once it has helped get me out of a "sticky" situation! Whatever your favorite summer weekend activity, a great pair of cut-off shorts can fit the fashion bill. As for me, I'll be rockin' [and rocking out in] mine this weekend at the Garth Brooks concert! Yeehaw! Like these looks? You can shop each item here. Pattern/Color: If you choose a pattern, make sure it's one that can be mixed with other solids or patterns. For example, I was able to style the navy and white Tory Burch blazer with colored blouses as well as fun colored shoes my client already owned. Cut: Ensure that the cut of the your third piece can pair with skirts, dresses, and/or pants. The Anna Kuan blazer looks great with pants as pictured, but we also made a great date-night outfit from a leather skirt. The point is, have fun with layers but make sure you choose wisely! They are a great way to add depth and style to your outfit! If you don't have a pair of uniform-wash dark indigo jeans, that should be at the top of your shopping list. A dark wash is the most versatile and flattering. Tight is right in the fitting room. The BIGGEST mistake I see clients make is buying their jeans too large. Ninety percent of denim will stretch a full size after just a day or two of wear. Trust me on this one! As always, if you need help finding the perfect denim for you, get in touch to book a shopping appointment with me! Do you believe life is short or a really long time? We think it is both, long and short, and both call for you to enjoy your life! We want food and fashion to add to your enjoyment, not detract from it. We work to find food and beauty that satisfies your body and mind. No pain—no gain is not our mantra. We want everyone to enjoy health and beauty and we make it a priority for our clients. You feel better when you like your food and it nourishes and satisfies you. If you don’t enjoy your food, you will always be hungry for something. If you hate kale, but eat it every day, you won’t get all the benefits kale has to offer. You will feel punished and deprived, you will be more likely to rebel, and you may undo any progress you have made from the punishment you endured—that is not enjoyable. Fashion should feel comfortable, literally and figuratively. If your clothes are too tight you will be uncomfortable. If you are over-dressed or under-dressed, you will feel out of place. Both add stress and decrease your enjoyment in most situations. Additionally, you want to have pieces in your closet that make you happy and excited to get dressed every day! While you probably won’t be eating frosting daily, you can add frosting to your outfits with a patterned scarf, a fun necklace, a pair of vintage earrings—anything that makes you happy and tells others a little about you. Accessories can be inexpensive, and, if you’ve simplified your wardrobe, mix and match with what you have to make outfits more interesting, versatile, and unique—just like you! Our last HABIT, progress NOT perfection ties into enjoyment, as it does with much of life. You cannot love everything you eat and everything you eat might not be the healthiest. When you work toward making food choices that are healthy, you want them to be tasty too. If your healthy choices taste good you will make PROGRESS that you can sustain to reap benefits today and in the future. Have you heard of the 80/20 rule for eating? (This is not to be confused with Pareto 80/20 business rules.) When it comes to food, what you put in your mouth most days matters more than what you do once in awhile. I learned about 80/20 for food at the Institute for Integrative Nutrition (IIN). Eat healthy meals 80 percent of the time and splurge 20 percent of the time with “unhealthy/junk food.” This a common approach but I have taken it one step further to help you succeed, I added enjoyment to the equation! If your food is healthy but you don’t enjoy it, you might have short-term progress but it will be hard to sustain. Does the chart seem too technical or too hard? It is actually simpler than it looks. It is designed to help you categorize your food to make better food choices. 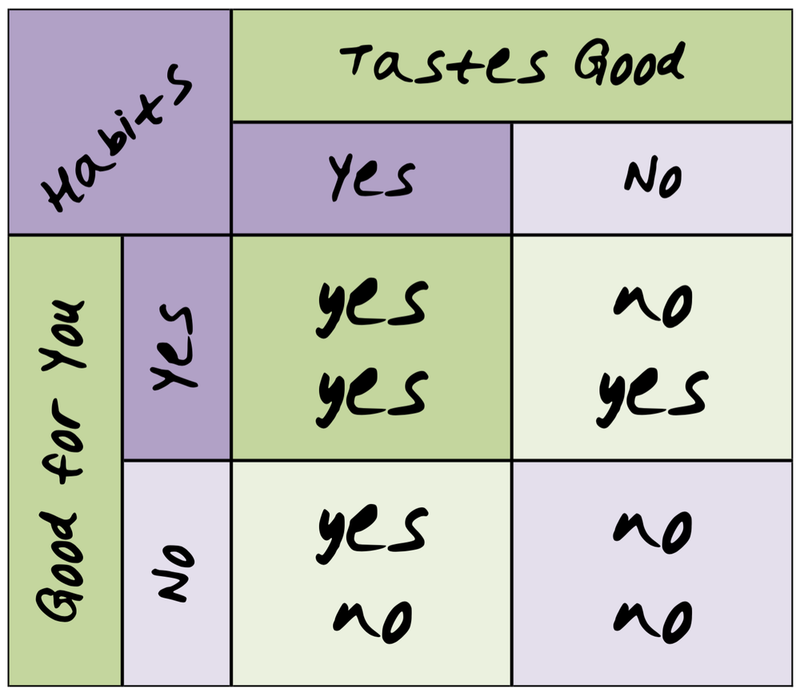 Think of the chart as “training wheels” to develop a new habit. With a little practice considering what food tastes good AND is good for you, making better choices will become second nature. The goal is to make progress making healthier choices that are not punishment. Life is too short to not enjoy your food and too long to risk the consequences of unhealthy eating. Thanks for following our series. We completed the basic foundation for creating successful and sustaining HABITs, personalize, simplify, progress, and enjoy. Stay tuned, we will continue to build on this foundation weekly to help you get where you want to go. ENJOY the trip! 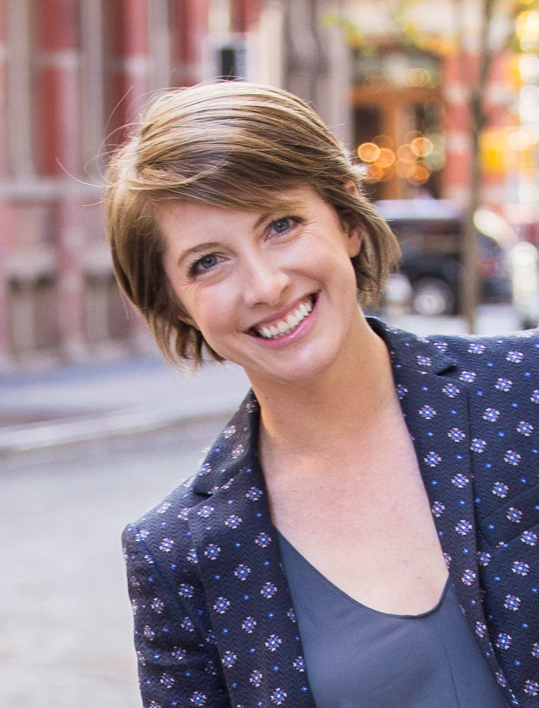 Natalie Tincher, owner and personal wardrobe stylist at Buttoned Up in New York City, desires to help others gain an added measure of confidence through cultivating a style that complements their unique personality, lifestyle, and physical attributes. 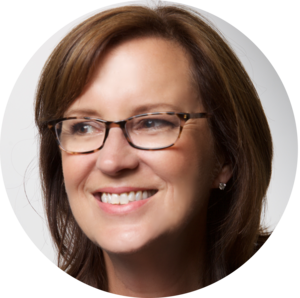 Becky Nagle, owner and health coach at getting2well in Bergen County, NJ, works with clients to make small changes to reduce stress and improve nutrition that fit their lifestyle to reach healthy weights and wellness goals. Even if you had unlimited resources, you could not wake up tomorrow with all of your Health and Beauty goals met. The good news is that you can make progress if you avoid letting mistakes or unachieved goals get in the way, even with your current resources. Perfection is the enemy of progress. Perfectionism isn’t only “trying to do everything perfectly”; it is “trying to do everything” too. If you are entrenched in one or both, you will remain stuck where you are and the stress will keep piling up. Let’s start with a couple questions and ideas to get perfectionism out of your way. Do you start something and not finish it because it isn’t perfect? You can’t do anything perfectly; there is always room for improvement. Aim for good enough. When you don’t expect perfection, you will have fewer disappointments, less stress, get more done, and be happier: PROGRESS. Do you avoid something when you are afraid of making a mistake? Mistakes are unavoidable; everybody makes them. Fearing them leads to avoidance and stress. Capitalize on your mistakes: laugh at them, learn from them, avoid making the same ones in the future, and don’t be afraid of them. Making mistakes and learning from them leads to PROGRESS. Do you avoid doing anything when you cannot do everything? The “all or none” excuse leads to doing nothing when you can’t do everything. Accept that you can’t do everything; no one can. Realize that you can do something. This takes some weight off your shoulders, lowers your stress, and gives you some motivation to do something—and that is PROGRESS. Abandon perfection and the idea of the best and aim for better. Make goals and create steps to reach them, but recognize you likely won’t get there overnight or stay there every day. Aim for getting a little better every day, every week, or every month. PROGRESS! Take it to the tailor. Sometimes all it takes is a shortened sleeve, a nip in the waist, a tapered leg, etc., to make a piece work for you. Get creative. Add a belt, a blazer, roll up the sleeves . . . I’ve done some pretty stealthy styling with less-than-flattering pieces. Sell or donate and try again. Don’t force something to work. Realize what went wrong and aim for a better purchase next go-around! Habit Helper: One of my favorites! I add sweaters over clients’ dresses that are ill-fitting and un-tailorable on top to make them look like a skirt and top outfit. Earlier this week we talked about journaling to find your starting point to personalize your health and beauty solutions and planning your outfits and meals to simplify your life. The journal instructions, writing down as much as you can, might seem overwhelming and at odds with simplifying your life and aiming for progress NOT perfection. It can be in the short-term, but it does not have to be. Personalize and simplify it to avoid letting perfection get in the way of progress. Here are some ideas to do something when you can’t do everything. Alternate meals one week and clothes another week. One meal each week, breakfast, lunch, dinner, and then snacks. One day journaling alternating with one day off. Track one aspect of your meals each week: meals at home versus eating out, processed food versus unprocessed, meat/fish, dairy, vegetables, fruit, beverages, sugar, alcohol, etc. Three to four days ahead and shop twice a week instead of once a week. Dinner the night before so you know what to pick up on your way home. Plan and pack your lunch each night before work. One meal for the week, breakfast, lunch, dinner, or snacks for the week. Remember planning meals and outfits does not have to be an “all or nothing” proposition. For every meal and outfit planned there is likely time saved and stress avoided. Whether you plan once a day or once a week you will be better off than not having planned at all. We hope you are feeling less stressed than when you started. You are making PROGRESS! Stay tuned for some ENJOYMENT in the New Year. May you always feel great, look great, and make progress! Is your life harder than it needs to be? Stress is the enemy of Health and Beauty. If your diet or wardrobe is complex or painful, it likely won’t work and will add to your stress. Making too many changes at once can be overwhelming, not to mention expensive, and it might be harder to find out what works and what doesn’t. Small changes are often less stressful and lead to big improvements. Getting dressed and making dinner shouldn’t require a lot of effort or add stress to your day. We believe preparing will simplify your life. Shopping is necessary to being prepared. Preparing to shop will help make shopping more productive and simplify your life. Less is usually more. Having what you need is more important than having everything. Having more than you need does not simplify your life and may complicate it. Make a list, on paper or on your smartphone, to will help you get what you need and avoid what you don’t. Mental lists don’t work and often lead to over-buying or under-buying, which does not simplify anything and adds more stress. Let’s start with creating weekly HABITs for preparing for your everyday needs. Each week, scan your schedule, find out what you need, and then inventory what you have to create a to-do list to fill in the blanks (shopping list, laundry, etc.). Book time on your calendar each week to plan your outfits for your upcoming meetings and social events, and don’t forget to check the weather, as well. No one wants to get caught in the rain with suede! Write down your outfit for each day from head-to-toe, including shoes and accessories. Inventory each item to make sure it is ready-to-wear: Does it need laundered or ironed? Do your tights have holes in them? Did your friend return the belt she borrowed? The night before, prep your outfits and lay them out for the next morning. When you plan your outfits for the week, include time to plan your meals and snacks. When making your meal list, start with recipes using food you have to reduce your shopping time and avoid wasting the food you have. Next, what do you need? Nothing is more frustrating than getting home from the grocery store and realizing you have to go out again. Do you already have it? Check the back of the fridge, corners of the cabinet or pantry. If you already have it, you may not need more. Do you have enough? Is the milk carton full or almost empty. Is it fresh? Check the expiration date? Does it smell or have mold? Focus on what you need and want, not what you want but don’t need, and stick to your shopping list. When you are done, celebrate and add a small treat, something you really want but might not need. You can’t be perfect and you need to enjoy your life. HABIT Helper: Avoid hunger when making your list or grocery shopping; you will likely overdo it if you are hungry. Thank you for reading our second foundational HABIT—simplify! It may seem overwhelming but it doesn’t have to be. If you cannot plan everything, plan something. If you cannot plan a week ahead try a day ahead. A little planning here and there will help avoid stress and complications that add up to a bad day. Whether it is fashion, food, or most of life, one size usually does not fit all, and what works for one will not exactly work for everyone—and may not work for you. Yet, on a universal level, there are often common threads in challenges we collectively face: struggles with weight loss, wardrobe quandaries, daily stress, etc. Despite our differences, we recognize common strategies to identify personalized solutions to overcome our obstacles and improve our lives. This is true with health and beauty, and we help our clients find a formula for success that is unique to them. Before you can personalize your solutions, it helps to truly understand where you are and where you want to go. Can you get directions from Google Maps(R) or other GPS without both? Unfortunately, most of us don’t know these answers. This is not surprising, because our society suffers from a deep cultural malaise: we feel uneasy but we have trouble identifying why. The “automatic pilot” we often use to handle stresses of modern life keeps us from paying attention, knowing the questions, and finding the answers. The first step to finding your personalized health and beauty solutions is finding your starting point. Whatever your health or beauty goals, keeping a journal will help find your starting point. What you learn from your journal will help you plan subsequent steps as your create your own route to reach your destination. Think of us as your personalized GPS for health and beauty. Let’s get started! Start with keeping a food journal for at least one week. Find a format that will work for you. Use a combination of formats if necessary ; thoroughness is more important than elegance. Your aim will be to record every bite. Handwritten: Notebook, index cards, Post-It(R) notes, napkins, etc. Electronic: Word(R) document, spreadsheet, smart-phone app, take a picture, voice memos. Tracking your intake will not only give you a sense of your starting point, but it also takes you out of “automatic pilot” and into conscious decisions and conscious eating—that alone can help with health and weight control. Write down all of the outfits you wore for a week and notes on them. How did you feel in it? What types of compliments did you receive? Why did you like/dislike your outfit? What message were you trying to send? What you want to keep, replace, discard, or add. And from here, you can start to develop a sense of your personal style and what makes you feel the most confident. We hope you enjoyed the our first foundational HABIT—personalize! Think about it throughout your day to find what is or is not working for you. This is a key step to reducing stress and protecting your health and beauty. Let us know what you learn! May you always feel great, look great, and have a great day! Do you want to feel great and look great? Chances are you do and it is easier than you think. All you may need are some Health And Beauty Improvement Tips (HABITs). In this new joint blog series, we will provide you with HABITs to help you design your life to look and feel great! 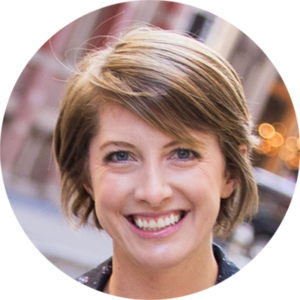 It all began when Becky was creating her new health coaching website, getting2well. She needed to pick colors for her business logo and take photos for the website. Wanting to make the best choices, Becky recognized she needed professional help and hired Natalie, a personal stylist at buttonedupstyle. An initial consultation led to a styling package, a lot of conversations, and eventually collaboration. During the styling sessions we talked a lot about clothes, style, weight, health, and stress and quickly realized how interconnected feeling good, health, weight, and fitness were with looking good, wardrobe, beauty, and style. Perhaps the Health and Beauty Sections all around us (magazines, drugstores, etc.) are not a coincidence. While feeling good and looking good are not entirely dependent on each other, we know they can significantly impact, both positively and negatively, each other as well as affect mood, confidence, presence, and performance. If you don’t feel good, it can be hard to look good, and if you don’t look good, it can be hard to feel good. Fortunately, the reverse is true, and improvements in one area lead to improvements in the other. Feeling good and looking good make it easier to focus and handle the challenges, big or small, in your busy day. Reducing your distractions and stress, helps you have a better chance of a great day and a great life. Natalie and Becky recognized the connections between our businesses and our philosophies and the potential synergy. We believe working both angles, health and beauty, adds up to greater success for our clients and readers. Over the next year we will collaborate to provide weekly blog posts, workshops, and individual services to give you simple solutions to reduce stress and design your life using HABITs that lead to better health and beauty. We hope you stay tuned, have fun, and participate in the discussions! 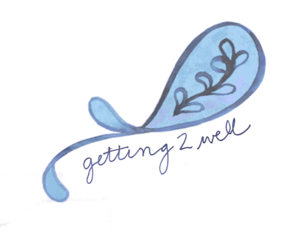 For information about Becky, getting2well, and health coaching services, c lick here. 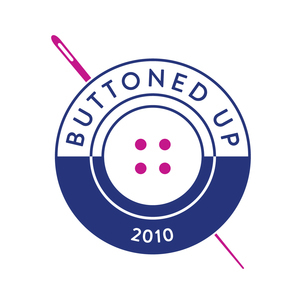 For information about Natalie, Buttoned Up, and personal styling services, click here. 1. If you plan to wear your booties with skirts, make sure the boot shaft is not too high and ends closer to your ankle than to your calf. And on that same track, only wear high-heel booties with pencil skirts—no flats! 2. Match your tights to your booties to visually elongate your legs. Wearing contrasting colors will break up the leg line, causing your legs to appear shorter and wider (and who wants that?). 3. Stay away from laces. Unless you work in a super casual office environment, lace-up booties are not appropriate workwear. 4. Finally, if these boots were truly made for walking, make sure you can walk normally in them. In other words, don't get a sky-high heel that causes you to clumsily traipse into the conference room: you should be as sure on your feet as your are in your work performance! As always, I'm happy to help you integrate this and any other trends into your closet. Whether shopping for me or for clients, I only like to purchase pieces that fill a "hole" in a closet and that are versatile. When doing a closet inventory with clients, each season I make a list of key pieces to add to their wardrobe, and I focus on finding the perfect version of each of these items. 1. Can I make at least 3–5 outfits from this using existing pieces? 3. Is this filling a need or a better replacement for something I have?